Abstract: This workshop illustrates the use of machine and deep learning algorithms for classification in the context of predicting stock market movements. The workshop shows that there are parallels between building self-driving cars and deploying automated algorithmic trading strategies. Bio: Yves has a Ph.D. in Mathematical Finance and is the founder and managing partner of The Python Quants GmbH. He is also the author of the books Python for Finance, Derivatives Analytics with Python and Listed Volatility & Variance Derivatives. 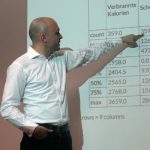 He lectures for Data Science at htw saar University of Applied Sciences and for Computational Finance at the CQF Program and is the organizer of the Python for Quant Finance Meetup in London.